Mel Bosworth: Play in the Fold, Stay in the Fold...that sounds dirty. Anyway. Play in the Fold, Stay in the Fold...that sounds dirty. Anyway. 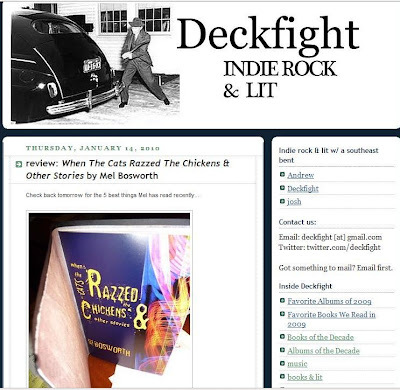 My chapbook When the Cats Razzed the Chickens (Folded Word Press, 2009) has been getting some good love this week by some good people. Check out reviews at Orange Alert and Deckfight, and be sure to take a peek at the 5 Best Things I've Read Recently, also at Deckfight (they let me double-dip this week. I know, it's like putting your WHOLE mouth in the dip, but hey). 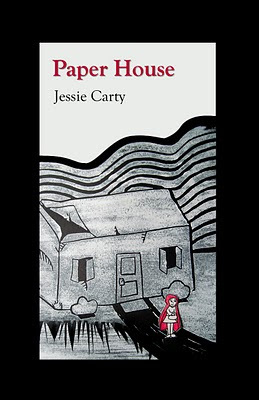 Also this week, Folded Word Press unveiled the cover for Jessie Carty's forthcoming book Paper House, slated for release March 30th, 2010. Very nice! 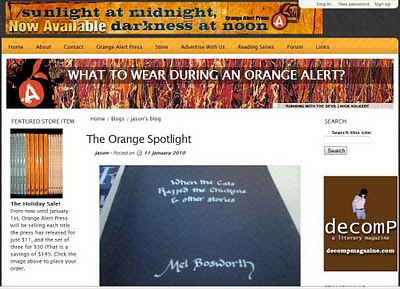 Big congrats to Jessie, and big thanks to Orange Alert, Deckfight, and Folded Word Press. You're all awesome. Have a great weekend. Thank you for the shout-out buddy, may all your days be Boscov days.